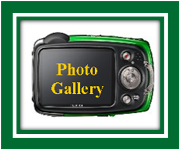 Castlelyons Camogie Club Notes - week ended 5.1.15. Please note that our 2014 AGM will take place in the Community Centre Bar on Tuesday the 13th January 2015 @ 8pm - we hope to see all our regulars there and we are hoping to get a lot of new parents involved for the 2015 season. We would hope that everyone makes every effort to attend. We will also be having a registration night for the 2015 season on the same night as the AGM (13/1/15) from 7pm to 8pm in the Community Centre Bar. All parents are asked to attend to register their children for the upcoming season and all adult players/members are also asked to register on the night. The camogie club caters to all girls attending national school and older with teams from U6 upwards. The 2015 season for our U6 & U8 teams will commence with training on Saturday the 24th January 2015 on Castle bridge Celticâs Astro turf from 11am to 12 noon. A text will go out to all parents re same. All school going girls are eligible to participate once registered with the club. 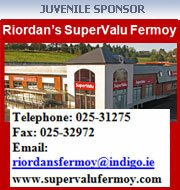 If you want to be included on this text or have any other queries please contact Pat OâSullivan on 087-8188612. 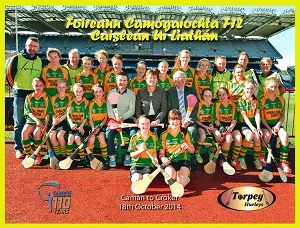 Congrats to GrÃ¡inne - Staring with Cork U14 Camogie Team. However her greatest day was winning the Kilkenny Blitz and beating Laois in the Final. She attends Loretto Secondary School, Fermoy and her greatest supporters are her Mam and Dad (Catriona and John McCarthy of Mohera). So a hearty congratulations to GrÃ¡inne from all the Club. 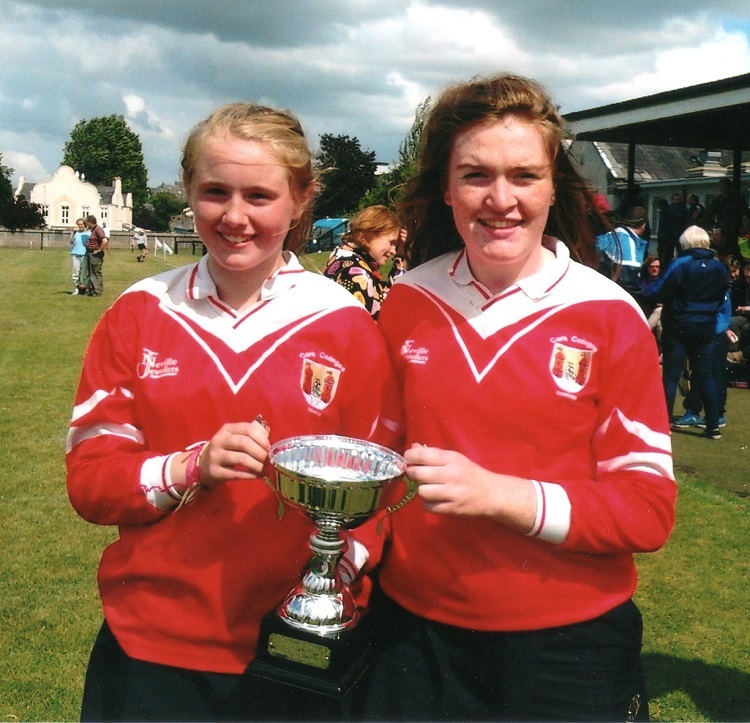 Photographs shows GrÃ¡inne on the right after winning the Cup in the Kilkenny Blitz with Emer Hurley of the St Finbarrs Club on left. This was a great win for the Castlelyons girls Camogie team last Friday night the 15th in Ballyhea as we defeated the home team to progress further in the championship this year. The game started with Ballyhea getting the first score going a point up but after five minutes Castlelyons settled into the game and found their stride with some lovely scores. Megan Mc Nulty, Katie Riordan Marie Daly and AoibhÃ­n Oâ Sullivan all got some great individual scores from play. While Melissa O Sullivan got a point from a 45 and Niamh Barry got a goal from a long range free and another point. These scores saw Castleyons dominate for most of the first half with Ballyhea finishing the half with another point to try get back into the match. In the second half Ballyhea continued to press hard to get back into the game. Both teams registered a point each with Mary Theresa Murphy getting a lovely well earned point for Castlelyons. We then put the foot down once again with some great play resulting in our forwards winning a free and a 45 both converted by Melissa Oâ Sullivan. Ballyhea then came back into the match with a goal at the fifty minute mark. They followed this with another point leaving the scores at 1-9 to 1-4 with 8 minutes to go. Last Friday evening we held the Ciara O' Brien Memorial Camogie Blitz n memory of our dear friend Ciara who we sadly lost over five years ago tragically in a car cash. 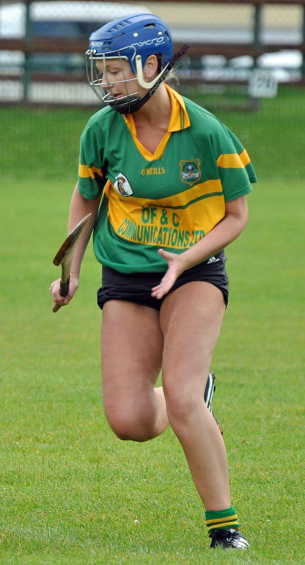 Ciara was an active member of our Camogie Club both as a player and also representing us at county board meetings. She was ambitious, hard working and fun loving as the Blitz reflected this. We had a fantastic evening in melting weather and with ideal match conditions. Castlelyons were drawn against the Hill in their first game. The first score of the game came from Melissa O'Sullivan to put the Castlelyons girls a goal in front. Watergrasshill responded with a goal. Castlelyons maintained pressure with another two goals from Grainne McCarthy and Louise Crowley, and a point from a free saw the Castlelyons side lead 3-1 to 1-0. We held the lead in the second half to come out winners on a score line of 5-4 to 2-0. St. Catherines were the opposition in the second game with both teams very evenly matched. Scores were hard come by but Niamh Barry kept the Castlelyons side in front with 2 points. We won on a score of 0-3 to 0-1 in a tough game. In the final against Bride Rovers we lead by a point at half time, but mighty second half by the Rovers saw them come out winners on the night. Congrats to them. A great evening was had by all. Thanks to the O'Brien family and friend and all who supported on the night. Thanks to all the teams who played on the night, as well as the Mothers who helped out with refreshments. Congratulations to Niamh Barry on winning player of the tournament which was kindly sponsored by Fermoy Print and Design. Niamh was also the chief organiser of one mighty evening.